Aging vessels connecting the brain and the immune system play critical roles in both Alzheimer's disease and the decline in cognitive ability that comes with time, new research reveals. By improving the function of the lymphatic vessels, scientists at the University of Virginia School of Medicine have dramatically enhanced aged mice's ability to learn and improved their memories. The work may provide doctors an entirely new path to treat or prevent Alzheimer's disease, age-related memory loss and other neurodegenerative diseases. The research is the latest from the lab of pioneering neuroscientist Jonathan Kipnis, PhD, whose team discovered in 2015 that the brain is surrounded by lymphatic vessels -- vessels science textbooks insisted did not exist. That discovery made headlines around the world and was named one of the year's biggest by Science, yet Kipnis sees his team's new finding as their most important yet. "When you take naturally aging mice and you make them learn and remember better, that is really exciting," he said. "If we can make old mice learn better, that tells me there is something that can be done. I'm actually very optimistic that one day we could live to a very, very, very old age and not develop Alzheimer's." It turns out that the lymphatic vessels long thought not to exist are essential to the brain's ability to cleanse itself. The researchers' new work gives us the most complete picture yet of the role of these vessels -- and their tremendous importance for brain function and healthy aging. Kipnis, the chairman of UVA's Department of Neuroscience and the director of its Center for Brain Immunology and Glia (BIG), and his colleagues were able to use a compound to improve the flow of waste from the brain to the lymph nodes in the neck of aged mice. The vessels became larger and drained better, and that had a direct effect on the mice's ability to learn and remember. "Here is the first time that we can actually enhance cognitive ability in an old mouse by targeting this lymphatic vasculature around the brain," Kipnis said. "By itself, it's super, super exciting, but then we said, 'Wait a second, if that's the case, what's happening in Alzheimer's?'" The researchers determined that obstructing the vessels in mice worsens the accumulation of harmful amyloid plaques in the brain that are associated with Alzheimer's. This may help explain the buildup of such plaques in people, the cause of which is not well understood. 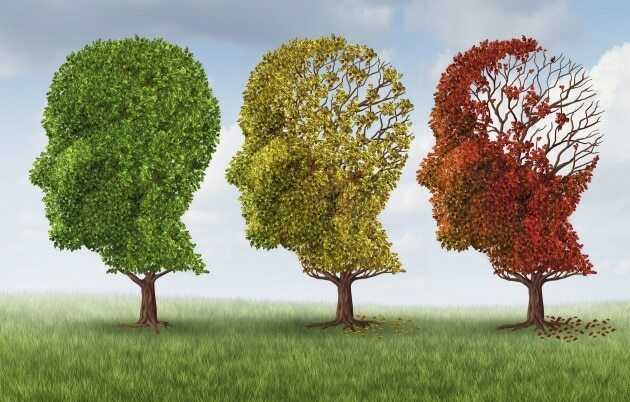 "In human Alzheimer's disease, 98 percent of cases are not familial, so it's really a matter of what is affected by aging that gives rise to this disease," said researcher Sandro Da Mesquita, PhD. "As we did in mice, it will be interesting to try and figure out what specific changes are happening in the old [brain] lymphatics in humans so we can develop specific approaches to treat age-related sickness." Da Mesquita also noted that it would be important to develop a method to determine how well the meningeal lymphatic vasculature is working in people. It may be, though, that the new discovery offers a way to stave off the onset of Alzheimer's to the point that treatments are unnecessary -- to delay it beyond the length of the current human lifespan. The researchers have published their findings in Nature. Antoine Louveau, who was the first author on the original discovery of the meningeal lymphatics, and Da Mesquita are the first authors of the paper. The team also included Andrea Vaccari, Igor Smirnov, R. Chase Cornelison, Kathryn M. Kingsmore, Christian Contarino, Suna Onengut-Gumuscu, Emily Farber, Daniel Raper, Kenneth E. Viar, Romie D. Powell, Wendy Baker, Nisha Dabhi, Robin Bai, Rui Cao, Song Hu, Stephen S. Rich, Jennifer M. Munson, M. Beatriz Lopes, Christopher C. Overall and Scott T. Acton. Kipnis emphasized the collaborative nature of the work, noting the importance of many different areas of expertise. For example, the project included big data processing by Christopher Overall from the Department of Neuroscience/BIG center and contributions from Acton and Vaccari from the Virginia Image and Video Analysis Laboratory at UVA. "It's another exemplification of how today research cannot be done in one place and one lab," Kipnis said.